This is how a factor level looks in the editor. The most fundamental transform is a simple extrude, but we can also apply a chamfer or fillet in the process. This is used extensively, especially for round hills and other natural shapes in the game. This beveling is done by gradually shrinking the polygon while extruding it, in one or more iterations. Shrinking or expanding a polygon is not as easy as it sounds. For "well-behaved" polygons there is no problem, but sometimes vertices disappear in tight corners, or new ones must be added. I tried several different ways of implementing this myself, but it's really hard to find a robust method that never fails, or even one that failes gracefully. After a few failed attempts, I found the awesome Clipper library, which can do all kinds of polygon operations, including expanding and shrinking. It's reasonably fast, very robust and super-easy to use, I highly recommend. Even when using the Clipper library it was not trivial to get the beveling to work correctly. The Clipper library does not track or correlate vertices, so after a shrink operation you have no idea how the new vertices correlate to the old ones, hence it is really hard to stitch the two polygons together with triangles. It took me a few tries to implement a robust stitching algorithm, but I finally came up with one that deals with all well-behaved polygons, and most (but not all) tricky corner cases. Shadows also deserves a mention. I started experimenting with different methods for smooth soft shadows very early on. The traditional way of using precomputed low resolution shadow maps didn't quite fit our needs, because all geometry is generated on the fly, and levels can be quite large. Since most geometry in Granny Smith is front-facing, extruded, flat, 2D polygons I came up with a scheme where the shadows are semi-transparent triangles based on projecting the 2D polygons onto each other. Thanks to Clipper, I already had a great toolbox for this. 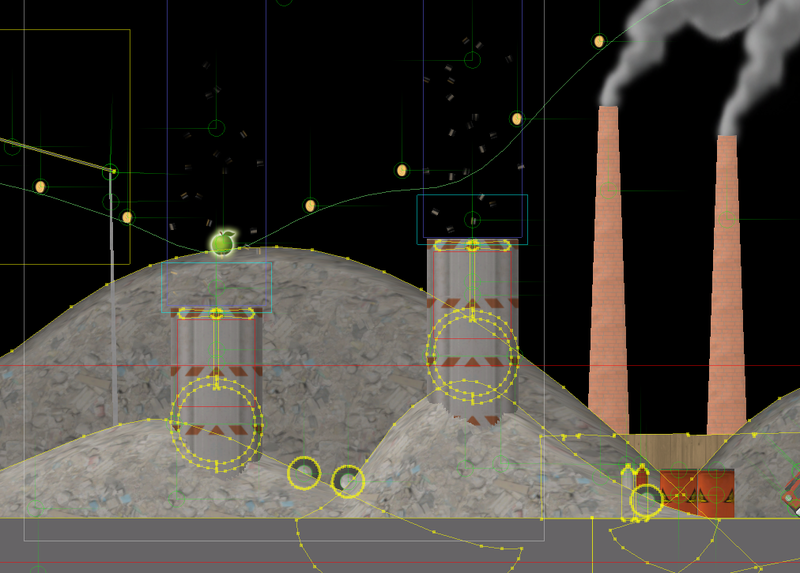 Each polygon is expanded and clipped against overlapping polygons in the background. The resulting "shadow" polygon then uses vertex coloring to smooth out the penumbra and a special shadow shader to achieve quadratic fall-off. All these shadow triangles are put in separate vertex buffers and rendered simultaneously. The engine supports dynamic soft shadows as well, but it's rather expensive, because all the expensive geometry clipping needs to happen every frame, so it's only being used in a very few places in the game. Because shadows are computed from the 2D polygons, there will only be shadows in the XY plane. To somewhat overcome this I also added self-shadowing along the extruded surface using the same vertex coloring scheme, so creases get a darker tint. 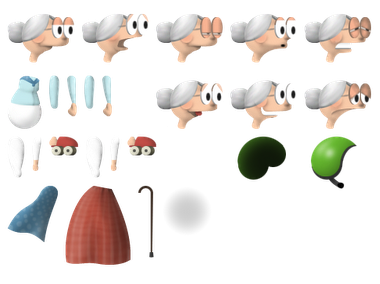 The characters are basically a composite of 2D sprites, but slightly rotated to compensate for the camera angle, so it's somewhere in between an oriented sprite and a billboard. There was never a discussion about using "real" 3D characters for this game. My personal opinion is that 2D character are highly underrated for this type of game. 2D characters obviously yield better performance, but I'd also argue they also look better in many cases, especially on low resolution devices. Polygon aliasing completely disappear, because all edges are drawn into the alpha channel of the texture and rendered with mipmapping, so the characters always look crisp and sharp. 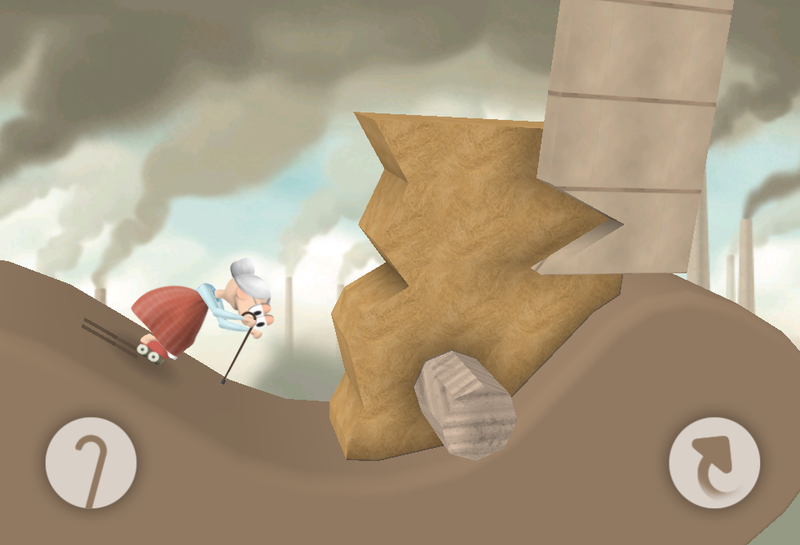 Characters is not the only area where we combine 2D graphics with 3D objects. Grass and foliage are two examples. The grass is added procedurally, while the decals for trees and bushes are placed manually along the rim of the object to hide sharp polygon edges and add extra detal. 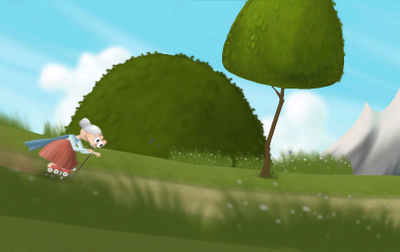 The grass is rendered with a special vertex shader to sway in the wind. 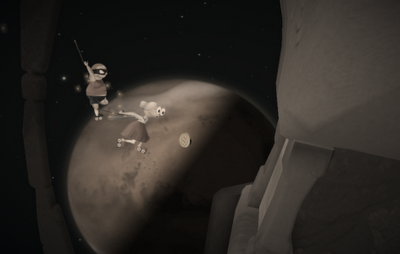 After completing a level, you get a replay in vignette and sepia color and with occasional bluring plus added dust and scratches to give the impression of an old movie. The vintage effect is just a shader effect in a post pass, but the replay itself features alternative camera angles and slow-motion effects which took some time to get right. The camera angles are determined by what's going on in the game. 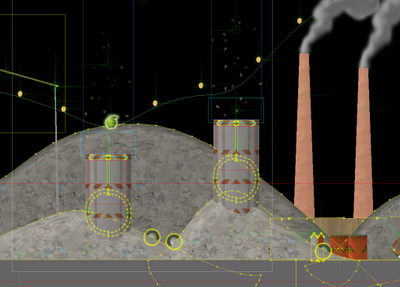 For example, it often switches to slow-motion close up right before fracturing an object. The replay data is basically just recorded input for the player, plus position correction data in case of divergence, similar to a networked multiplayer game, but I also record "special events" that are used to trigger camera angles. The replay data is analyzed and all the camera angles are decided before the replay starts. Choosing camera angles on the fly wouldn't work since you want to switch camera before the action happens. Getting everything in the game to support slow-motion playback without diverging too much was a real challenge, and you can still see artefacts here and there. The replay system is also driving the apple thief playback (in very subtle slow-motion) during regular gameplay.